In the past seventeen years Rwanda has been in the process of recovering from the 1994 genocide. The country is currently rebuilding itself, with considerable success. One of the main components of the post-genocide reconstruction of Rwanda is the government’s development plan called Vision2020. This programme aims at overcoming poverty and division by initiating a wide range of improvement programmes for good governance and economic development. In practice, however, the roll-out of Vision2020 seems to be missing a coordinating framework to provide direction to and align the improvement initiatives of the various, often independently operating, governmental agencies. Such a framework could not only provide direction but also help to set priorities and offer an evaluation mechanism to monitor progress on improvement initiatives. This article describes exploratory research into the question whether the High Performance Organisations Framework could function as this coordinating framework. It was assumed that the empirically validated HPO Framework could be used in the Rwandan context as it had earlier been successfully applied in neighbouring country Tanzania. After a first application of the HPO framework at the Rwandan Ministry of Local Governance and Social Affairs (MINALOC), it was concluded that this framework could indeed be used to assess the status of a Rwandan governmental agency and that in addition it also shed light on possible improvement points for MINALOC. 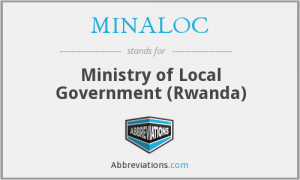 By strengthening its internal organisation, the HPO framework will help Rwanda’s MINALOC to focus on what is really important to improve and thereby it can advance the improvement process and the realisation of Vision 2020. For more information, photographs for publication or to contact dr. André de Waal regarding lectures or the HPO Diagnosis, contact Chiel Vink (vink@hpocenter.com).